The Feature & Follow is hosted by TWO hosts: Parajunkee and Alison Can Read. The goal is to increase blog followers and make friends! Every Friday, the two hosts will showcase a Featured Blogger, from all different genres and areas, and pose a question for other participating bloggers to answer. 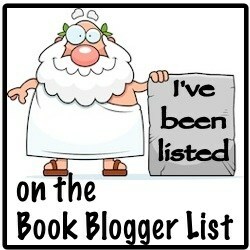 It’s a chance to find some new blogs to visit, and gain some new followers in return: win/win! Ehm, they also sell cat appliances at Amazon? I bought the ball thingy and the special food bowl for my cat. He uses the ball thingy as a cat bed if not looking at it in disgust from the sideline. The food bowl is merely there for decoration unless I actually help him by grabbing his paw and swiping the food down with it. Definitely worth the purchase! 3. Grab the button up here/there and place it in your post. This will give people a place to say ‘hi’ in your comments and let you know that they are following you. 5. Follow, Follow, Follow! As many as you can, as many as you want, or just follow a few. The whole point is to make new friends and find new blogs. Also, don’t just follow: comment and say hi. Another blogger might not know you are a new follower if you don’t say ‘HI’. 6. If someone comments and says they are following you, be a dear and follow back. Spread the love…and the followers~! 7. If you’re new to the FF hop, comment on one of the hosts’ blogs and let them know, so they can stop by and check out your blog! Loved your youtube video! Thanks for stopping by my blog and following and I’m doing the same. Can’t wait to see more of your posts! Just stopping by to say hi. I’m a new follower. I forgot about youtube cat videos. yes, I can waste hours looking at cat videos or other cat related things.